The finalists will be announced on Friday 28th of September and then the judges have the hard task of determining the winners. This year’s judges bring a wealth of experience across the hair and beauty industries. Here are the teams judging The Industry Awards business, training and creative categories. Audrey has been with the L’Oréal Professional Products division for 16 years. For the first 14 years she worked with Kérastase in a range of roles including Area Manager, Key Account Manager and Education Manager. Following this Audrey spent 18 months with the Redken brand in sales, before moving into her current national role encompassing Business Development for the division. 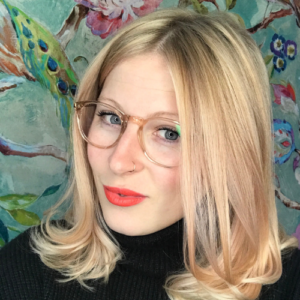 Audrey is passionate about working with salons to create the perfect client journey to ensure the ultimate client experience, and maximum profitability for the salon. “It’s a huge honour to be on the judging panel and I’m super excited to be immersed in the passion of our industry”. Seumus started out in the industry in 1994 working for Combined Salon Supplies. He spent two years gaining invaluable frontline warehouse and logistics experience. Making a move into sales, he worked for IMM Corp. Ltd whos hero brand was Nioxin. A year later Seumus joined the Wella brand and 2018 marks Seumus’ 20th year with the company. 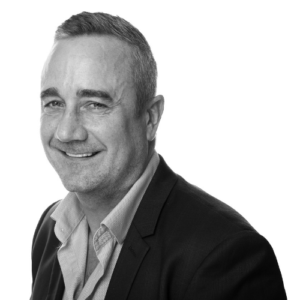 During his time with Wella he’s had a number of roles, from Sales Consultant through to Senior Sales Consultant, Key Account Manager and now, for more than five years, New Zealand Regional Manager. He works with a wide number of brands including System Professional, Nioxin, Sebastian, SP, Wella Professionals and Clairol. Supporting training and capability has always been a priority for Seumus and he feels his involvement with The Industry Awards is another way to do that. Seumus has judged the business categories many times, so he brings years of judging experience to the panel. “I feel honoured to judge these awards and have an intimate view into just how exceptional our industry really is”. Malcom’s introduction to the hairdressing industry was through working with a salon specific product supplier. For around 10 years he helped salon owners with products, and providing business advice and in-salon trainings. Malcolm then ventured into salon ownership. 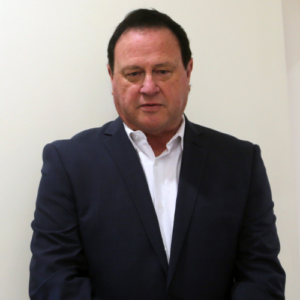 For over 16 years he worked to triple the floor space of his flagship salon, added spa services and increased revenue by over 470% per week – all whilst buying, building and selling another salon and owning a computer and software supply company. 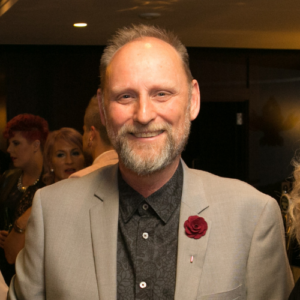 For the last nine years he’s been successfully coaching hair and beauty salons throughout Australasia in sales growth, service delivery, time management, culture change and all other aspects of salon business ownership. Malcolm also delivers business changing salon owner retreats having recently returned from the latest successful one in Fiji. This is Malcolm’s second time judging the business categories for The Industry Awards, that combined with his vast experience in the industry makes him a real asset to the 2018 judging panel. In the hairdressing industry since 1980, Craig got his start working after school in a salon, before taking an apprenticeship with George Janis in Wellington, who he worked with for almost a decade. 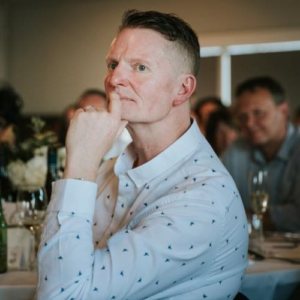 Moving north to Auckland to work for Colin Ford, he then stepped off the salon floor for a bit to work as a Colour Technician for Joico in Auckland, and later in Christchurch as their Technical Manager. Back in Wellington again, he opened his first salon with George Janis at Queens Wharf, before taking over the business and opening it under the Calibre name. Training is a strong focus at Calibre and something that’s actively pushed, especially with apprentices. A regular participant in competitions himself over his career, Craig understands the value of entering competitions to give stylists more confidence and increased exposure in the industry. He believes travelling the world and meeting other hairdressers, and watching how they work and train gives you real insight into what makes a great hairdresser and that’s something he’s been lucky enough to do. Craig is looking forward to judging these competitions and helping the emerging stylists advance their careers. Trained nurse and beauty therapist Kim Ryan has worked in the beauty industry for over 25 years, winning numerous awards for training and business development. 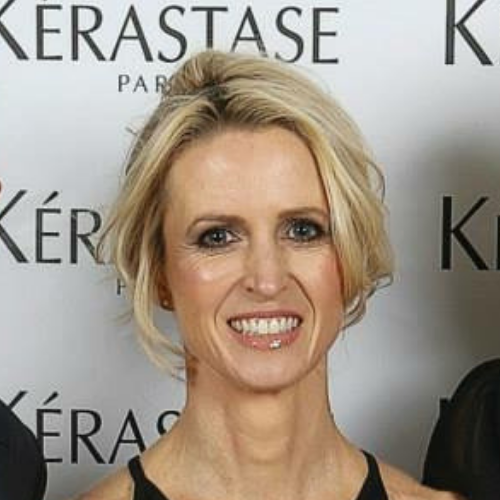 She and her husband Paul founded Advanced Derma Care and Kim leads product selection and training for the company. 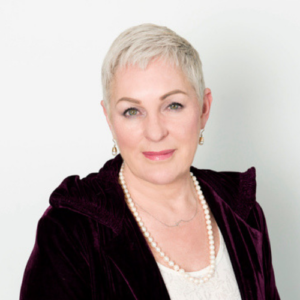 Kim is the current President of the New Zealand Association of Registered Beauty Therapists. and is constantly striving for safe practice and ongoing education for all therapists. She is also a sought-after beauty expert and has written for a number of magazines including NZ Beauty, Headway, Mindfood, M2 Woman and Simply Beauty. Abbie started out in the hair industry in 2011 completing her training in 2013 in Bristol, UK. During my time in New Zealand she has worked on a number of editorial shoots for New Zealand designers like Amelia Boland, Ricochet and more. She has worked with Air New Zealand on their 70th anniversary show and assisted back stage at New Zealand Fashion Week. Since taking over So You Hair in 2015 she has enjoyed building a successful team. The salon was was awarded Boutique Salon of the Year in the Industry Awards, and was a finalist for Marketing Excellence. Danny is an acclaimed editorial session stylist, directing the hair for fashion weeks from Auckland to New York and for editorial shoots in magazines such as Vogue, Fashion Quarterly, Oyster and Remix. He is a favourite choice for local fashion designers, having worked on campaigns and shows for Karen Walker, Nom*D, Huffer, Kathryn Wilson, Ruby, Moochi and Adrian Hailwood. Each year he also directs the graduate show for New Zealand’s leading fashion design school at AUT. He regularly contributes industry commentary for fashion and beauty media and is actively involved in salon sustainability and charity initiatives, most recently raising $28,000 for KidsCan. Brad Lepper is a globally recognised stylist and is one of the core International Artists for Sebastian Professional and a ghd Brand Warrior. Based in Auckland, Brad travels regularly with Sebastian Professional and ghd, and in the last couple of years he has worked in New York, LA, Barcelona, Delhi, Madrid, Berlin, Dublin, Sydney, Melbourne, Wellington and Christchurch to name a few. 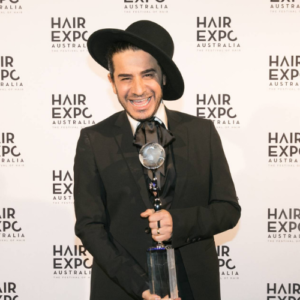 To keep his achievements very very brief, Brad has been named as a finalist in the Australian / New Zealand Hair Expo Men’s Hairdresser / Barber of the Year 2016, was awarded Silver in the Wella Trend Vision Award 2015 and 2016, NZ Men’s Hair Stylist of the Year at Industry 2014, 2014 L’Oreal Colour Trophy Supreme Hairdresser of the Year finalist, led his salon team to be named New Zealand Creative Team of the Year 2017 and has received a whole host of industry awards and accolades over the course of his career. He is also a personal hairstylist to some of New Zealand’s top celebrities and musicians. He has directed hair for shoots with the All Blacks Rugby World Cup Jockey advertising campaigns, shoots for magazines such as Remix, Mindfood Style, The Journal, Viva, and Woman’s Day. Brad also represented Sebastian Professional in the battle of the brands show at the Wella Australia New Zealand Trend Vision finals in 2017. Lex Buckley, together with partner Sheryl, are the publishers of the well-known and well-read Images Magazine. Now in its 17th year, Images has earned an international reputation and was awarded an Intercoiffure Global Press Award Paris in 2009. Lex says; “With a keen interest in photography, I have an eye for the “money shot” which is stunning enough for a magazine editorial or front cover. My focus while judging the submitted images this year will be on the total look and feel of the shot; for example, does it tell a story? is it visually exciting?”. This will be Lex’s 3rd year judging the Editorial Stylist of the Year awards – as a stalwart of the industry and with a keen eye for detail, we’re excited to have him on board again this year and we truly value his experience and support. His impressive career has seen him style a rich list of celebrity clientele whilst making increasing appearances on TV as Hair Director in popular shows such as Australia’s Next Top Model, Beauty & The Geek, The Biggest Loser (Make Overs), Naomi Campbell’s The Face, The Project, The Morning Show and USA’s Shear Genius. 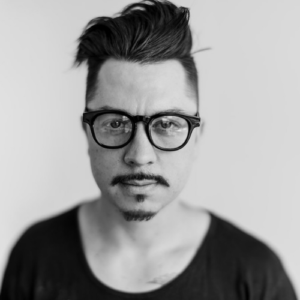 Most recently Joey took on the role of Co-Creative Director for the Eleven Australia haircare brand and was Hair Director for the 2015, 2016 and 2017 AACTA Awards as well as the National Gallery of Victoria’s inaugural Gala in 2017. 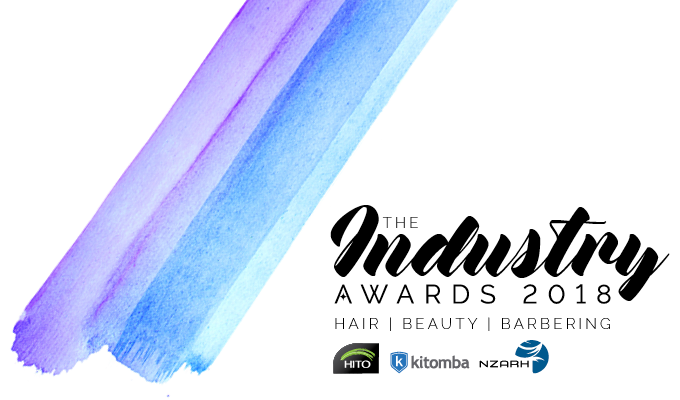 The winners will be announced at The Industry Awards event on the 11th of November 2018 at the Cordis Hotel in Auckland. Tickets are on sale from September 10th.